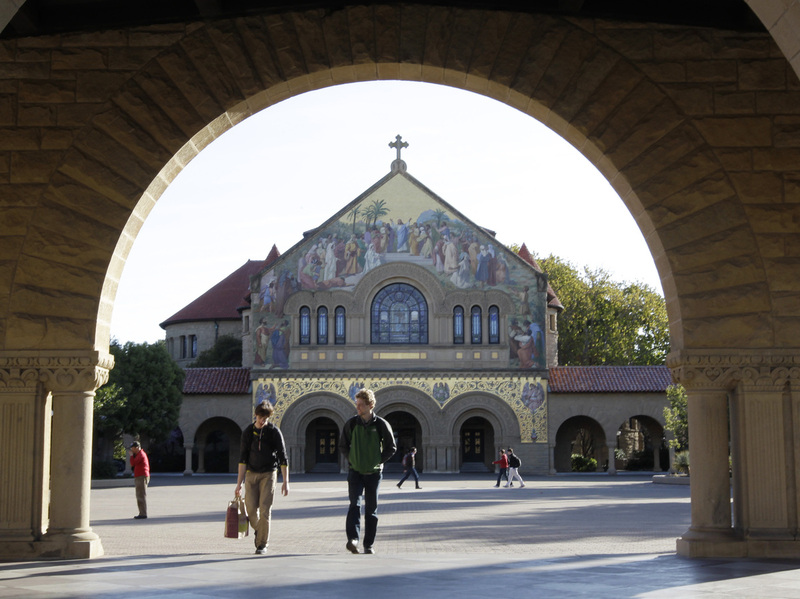 Stanford's Next Lesson: Free Online Courses For Credit And Degrees? : All Tech Considered Now that Stanford, Harvard and other top American universities are offering free online courses, will students one day be able to get course credits and degrees online from these schools without having to pay for it? Stanford's president says his school "can see moving in that direction." Two students walk in front of Stanford Memorial Church on the Stanford University campus in Stanford, Calif.
As Stanford, Harvard and other top American universities digitize more courses for free public consumption, will students one day be able to get an actual degree online from these institutions without having to pay for it? 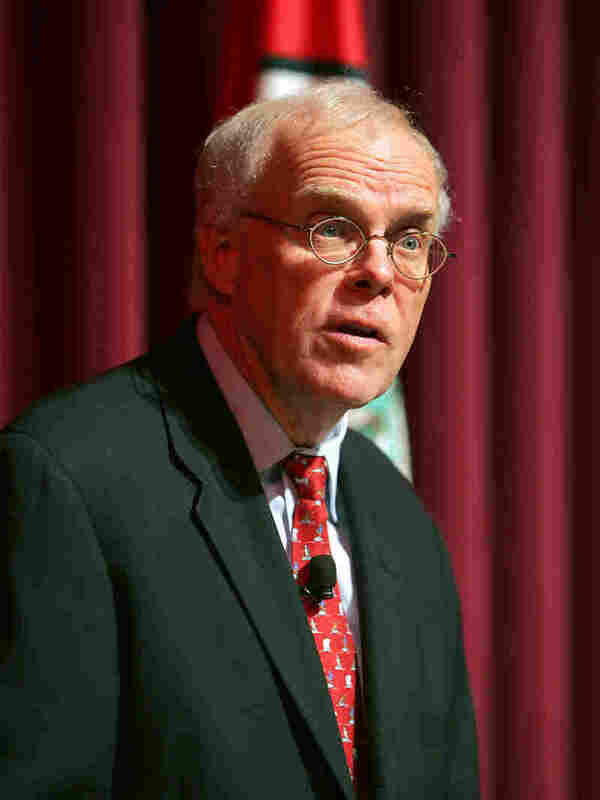 John Hennessy, president of Stanford University, says his school "can see moving in that direction." Stanford University President John Hennessy is a computer scientist and successful Silicon Valley entrepreneur. He currently sits on the boards of Google and Cisco Systems. One major challenge to offering actual credit, according to Hennessy, will be how to assess the performance of a degree-seeking student in an online course. "The requirement to assess student performance is significantly higher than it is if you're offering students the opportunity to be exposed to a course and do their own assessment," Hennessy tells All Things Considered's Robert Siegel. "And that's going to demand, at least for the foreseeable future, significantly more effort on behalf of faculty and support staff in order to ensure that students have really mastered the material." Hennessy says Stanford's online course program is "still very much in the infancy [stage]" and the university's small seminars and more interactive courses are difficult to duplicate digitally. But he says the new program is meeting the needs of some students. "I think we'll be serving, at least initially, a community for whom coming to Stanford is probably not practical," Hennessy says. As you can hear in the above audio of the full interview, Stanford's president also speaks about how the school, well-known as an incubator for successful Silicon Valley startups, tries to balance against an overemphasis of career-focused tracks for students, as well as his concerns about declining financial support for public universities.